The ocean and landscapes of Oahu provide spectacular settings for the island's many outdoor activities. You probably didn't come to Hawaii just to laze on the beach and drink cocktails at sunset. OK, maybe you did, but you wouldn't want to miss some of these only-in-Oahu things to do. Whether you choose an adrenalin-filled adventure or something more sedate, you'll come away with a sense of achievement and great travel stories to share with friends. Stretching from steep mountain cliffs to white sandy beaches, Kualoa Ranch is a veritable paradise for outdoor fun. Oahu's warm, clear waters are home to all kinds of rare sea life. If your ambitions include seeing whales, swimming with wild dolphins and sea-turtles, and exploring the habitats of brightly coloured reef fish, Hawaii has to be on your bucket list. Companies such as Wild Side at Waianae specialise in eco-friendly swimming with dolphins, turtle reef snorkelling and whale tours that take you close to the action. At the same time, these responsible operators promote wildlife protection and ocean conservation. Formed by two massive volcanoes – Waianae and Koolau - over millions of years, Oahu's dramatic landscape of sheer cliffs, deep valleys, secret beaches and stunning waterfalls is often hidden from view. There's only one way to see it all – from the air. From Turtle Bay Resort on the North Shore, Paradise Helicopters soar along world-famous surf breaks, past the 300m Ali'i Sacred Falls, deep into lush tropical valleys or over historic Pearl Harbour. Surfers say if the perfect wave exists, you'll find it on Oahu's northern coast. Towering winter waves draw the world's best to duke it out, while smaller, gentler summer swells are better for beginners. Whether you're a novice or simply looking to improve your skills, there are plenty of surf schools to choose from on both the north and south coasts of Oahu. And if you're really seriously about mastering the art, book a surf camp for a week or more of intensive lessons. Maybe your love of surfing is strictly as a spectator? 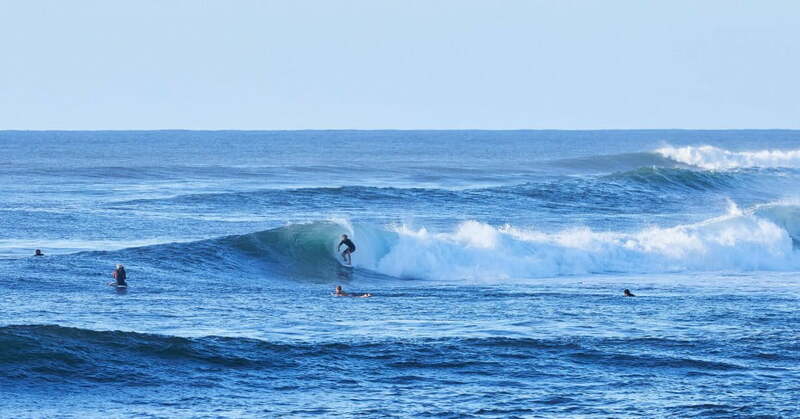 If so, the 12km stretch of Waimea Bay Beach, Ehukai Beach (better known as the Banzai Pipeline) and Sunset Beach are great places to watch others carve up the waves. The huge winter waves can top 10m, so the entertainment is truly epic. 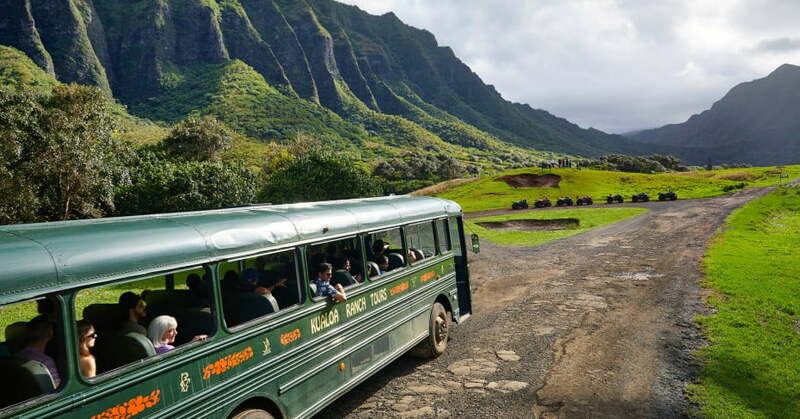 Chances are you've already seen Kualoa Ranch, because it was the filming location for multiple productions - Jurassic World and Jurassic Park, Pearl Harbour, the old and new Hawaii Five-O, Magnum PI and LOST, just to mention a few. But this ranch is much more than a movie set. Established in 1850, Kualoa is a 1620-hectare working cattle ranch and nature reserve stretching from steep mountain cliffs to white sandy beaches. It's a paradise for adventurous things to do in Hawaii. You can choose to explore the reserve by horseback, all-terrain vehicle, e-bike, zipline or on foot. For a truly special experience, get the big picture from a catamaran out on the bay. If you fancy some exercise that's slightly more gentle, the trails around Diamond Head at the east end of Waikiki lead to a panorama of Honolulu, views of wartime coastal defences and the chance to walk inside a 300,000-year-old crater. Further along the coast at the southeast corner of Oahu, the highly-rated hike to Makapuu Lighthouse rewards you with beautiful views of Makapuu Beach, Koko Head and the windward coast. Both of these hikes are considered to be among the best walks in Hawaii. Originally opened as a fruit stand in 1950, Dole Plantation has become one of Oahu's most popular tourist attractions. Each year more than a million visitors enjoy its Pineapple Express train, Plantation Garden and Pineapple Garden maze, as well as pineapple-based foods and drinks, of course. 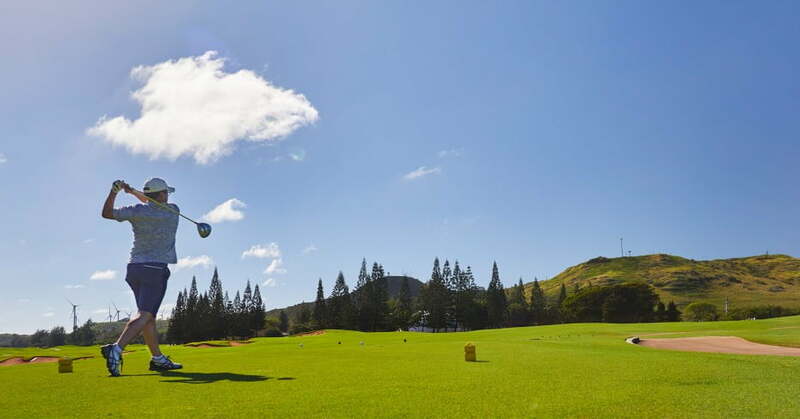 The easiest way to experience the beautifully scenic Hawaii golf courses is on an Oahu golf tour, with the option to include equipment hire and transport from your accommodation. There are plenty of visitor-friendly courses to choose from, including the popular Ko Olina, Royal Hawaiian and Turtle Bay golf clubs. So pack your golf shoes and say 'aloha' to some spectacular tropical fairways and greens.